Delaware Gov. John Carney will be the featured speaker for the annual meeting of the Friends of the John Dickinson Mansion that will take place on Tuesday, June 12, 2018 at the John Dickinson Plantation, located at 340 Kitts Hummock Road in Dover, Del. The program will begin at 4:30 p.m. with a reception and tours of the plantation’s mansion house, followed by the governor’s address, and ending with a brief business meeting of the Friends group. Admission is free and open to the public. For additional information, call the plantation at 302-739-3277. The new Dickinson book, sponsored by the Friends of the John Dickinson Mansion and published by the Delaware Heritage Commission, includes writings about Dickinson as well as numerous illustrations pertaining to his family, career and his Kent County home. It sells for $20 a copy and will be available for purchase at the annual meeting. The book’s editor, John Sweeney, will be present to sign copies, as will Richard Carter of the Heritage Commission who designed the book. The John Dickinson Plantation, Delaware’s first National Historic Landmark, was the patriot’s boyhood home and country estate. It features the Dickinson family’s original 1740 brick mansion, reconstructed farm buildings and a log’d dwelling, surrounded by rich agricultural lands stretching down to the banks of the St. Jones River. One of five museums of the State of Delaware, the plantation is administered by the Division of Historical and Cultural Affairs and is a partner site in the First State National Historical Park. A nonprofit, charitable organization dedicated to the extension of knowledge about Dickinson and his historic home, the Friends of the John Dickinson Mansion has been instrumental in commissioning many projects including biographies, research, events and educational films including a documentary about Dickinson that was broadcast on Public Broadcasting Service stations. The Delaware Division of Historical and Cultural Affairs is currently seeking qualified applicants for the position of Physical Plant Maintenance/Trades Mechanic II. The position is responsible for a wide variety of tasks involved in the maintenance, repair and preservation of the nearly 90 structures administered by the division. Applications are available by going to the Delaware Employment Link. Application opening date: May 26, 2018. Closing date: June 1, 2018. Carlton Hall, a cultural preservation specialist and historian with the Delaware Division of Historical and Cultural Affairs’ State Historic Preservation Office (SHPO), earned a place on the inaugural “40 Under 40” list recently unveiled by the National Trust for Historic Preservation. “40 Under 40: People Saving Places” is a new initiative of the non-profit National Trust for Historic Preservation, honoring individuals under the age of 40 across the United States who are working to support the mission of historic preservation through fields such as architecture, community activism and business. Tim Slavin, Delaware’s state historic preservation officer and director of the Division of Historical and Cultural Affairs, has recently appointed Jeremy Rothwell to serve as a professional member of the State Review Board for Historic Preservation. Rothwell is currently employed as a city planner for the city of Harrington, Del. where he provides technical reviews for all site-plan, subdivision and building-permit applications for compliance with the city code and comprehensive plan. Rothwell holds a Master of Arts in urban affairs and regional planning, and a graduate certificate in historic preservation, both from the University of Delaware. He earned a Bachelor of Arts in political science and history from Washington College, and has completed course work in land-preservation planning at the University of Pennsylvania and land-use-planning law at Widener University Law School. From 2014 to 2016, Rothwell worked as a planner for the Talbot County, Md. Department of Planning and Zoning. 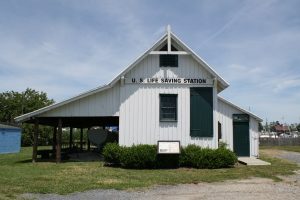 While there, he served as the primary staff liaison to the Talbot County Historic Preservation Commission, documented multiple historic properties, and served as the local contract-administrator for grant projects funded through the Maryland Historic Trust and the Maryland Department of Natural Resources. Rothwell has worked on master plans for the villages of Tilghman and Bellevue in Maryland, managed community survey projects, and coordinated activities with multiple committees and associations. Miscellaneous projects include assignments associated with environmental management, comprehensive survey of organic farming, field documentation of historic structures and land-conservation experiences. His career in the U.S. armed forces includes a 12-year stint with the Maryland Army National Guard as a medical squad leader, and service in Iraq and Egypt in support of Multinational Force and Observers, Sinai. He is a recipient of the Combat Medical Badge, Army Commendation Medal, Good Conduct Medal, Reserve Component Achievement Medal, Iraq Campaign Medal, Global War of Terrorism Service Medal and Multinational Force and Observers Medal. The Delaware State Review Board for Historic Preservation serves as the advisory body to the state historic preservation officer, the official appointed by the governor to oversee and implement the state’s preservation policies in accordance with federal standards. The State Review Board evaluates historic properties for placement in the National Register of Historic Places, and provides professional advice on historic preservation matters. During the past month, the Delaware Division of Historical and Cultural Affairs has welcomed three new employees including an addition to the Business Services Team and two new staff members at the Buena Vista conference/event center. Following are profiles of these newest members of the division family. As an administrative specialist for the Business Services Team, Sharon Trotman provides the division’s front-line connection with the public by answering phones and interacting with visitors to the agency’s main office at 21 The Green in Dover. She is looking forward to further assisting her teammates by taking on greater responsibilities including processing of bills and purchase orders and helping with any other fiscal or administrative-support services that are needed. Originally from Washington, D.C., Trotman has lived in Dover, Del. since 1995 and has worked for the Division of Substance Abuse and Mental Health and as a secretary for Reformation Lutheran Church in Milford. Executive housekeeper Sarah Granda and administrative specialist Alexandra Luzier are involved in every aspect of the Buena Vista conference/event center’s operations including maintenance and upkeep of the house and grounds, set-up and break-down of events, food service, hospitality, customer relations and inventory management. A 2018 graduate of High Point University in North Carolina, Sarah Granda earned her bachelor’s degree in strategic communications with a minor in event planning and marketing. During her student years, she worked in her mother’s daycare center where she learned invaluable lessons in interpersonal relations and in calmly handling unexpected situations—skills that will serve her well at Buena Vista. The New York State native grew up in Wilmington and now lives in Kennett Square, Pa. She is looking forward to pursuing her career in event planning. Dover, Del. native Alexandra Luzier is a 2018 graduate of the University of Delaware where she earned a bachelor’s degree in Organizational and Community Leadership. When she ends her temporary job at Buena Vista in August 2018, she will begin pursuing her master’s degree in public administration from West Chester University in Pennsylvania with the eventual goal of working in the nonprofit community-service sector. During the month of June 2018, the Delaware Division of Historical and Cultural Affairs will be sponsoring 11 special programs at sites across the state. A full schedule is included below. Except where noted, all programs are free and open to the public. “Change of Command.” Historical-theater production set at the time when command of the USS Constitution (Old Ironsides) was transferred between two Delaware heroes of the War of 1812—from Commodore Jacob Jones to Commodore Thomas McDonough. First Saturday in the First State program. The Old State House, 25 The Green, Dover. Performance at 1 p.m. Museum open 9 a.m.–4:30 p.m. Free admission but, due to space restrictions, reservations are required by calling 302-744-5054. “Turn of the Century Inventors.” Guided tours will explore late-19th- and early-20th-century inventors who revolutionized American society including Edison, Ford, Tesla, Alexander Graham Bell, E.R. Johnson and Emile Berliner. First Saturday in the First State program. Johnson Victrola Museum, 375 S. New St., Dover. 9 a.m.–4:30 p.m. 302-739-3262. Separation Day. Celebration marking the 241st anniversary of Delaware’s separation from Great Britain and Pennsylvania and the formation of the Delaware State. Event includes free activities at the New Castle Court House Museum. Admission charge at other venues. Downtown New Castle. Friday, 6–9:30 p.m. Saturday, 11 a.m.–10 p.m. 302-323-4453 or 302-322-9801. 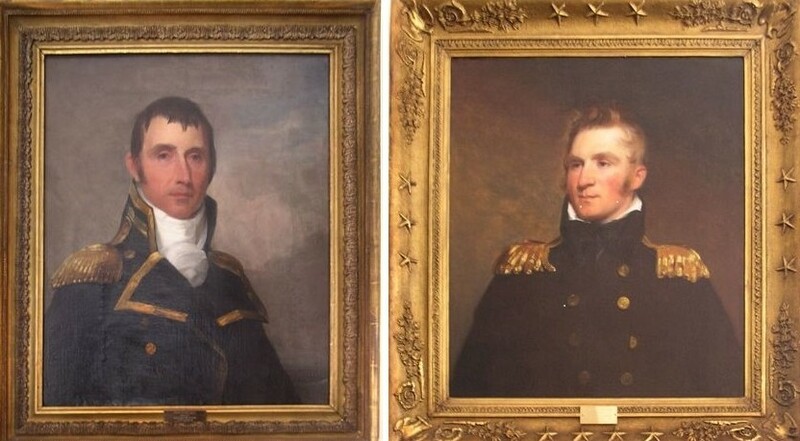 “Artists at the Old State House.” Presentation by historic-site interpreter Valerie Kauffman explores oil paintings by Denis Alexandre Volozan and Thomas Sully that are exhibited in The Old State House and the historical context in which they were created. The Old State House, 25 The Green, Dover. Programs at 11 a.m. and 2 p.m. Museum open 9 a.m.–4:30 p.m. 302-744-5054. “Dickinson Dyes.” Program showcases how copper pots, fire and 18th-century techniques were used to dye fabric at the estate of the “Penman of the Revolution.” John Dickinson Plantation, 340 Kitts Hummock Road, Dover. Program 11 a.m.–3 p.m. Museum open 10 a.m.–4:30 p.m. 302-739-3277. Dyeing wool at the John Dickinson Plantation. 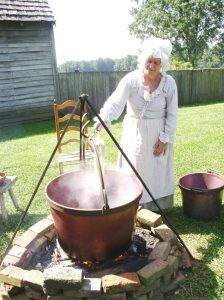 Eighteenth-century techniques used to dye fabric will be explored at the museum on June 16, 2018. Delaware’s Chautauqua tent shows, traditionally held in June, have been moved to September during 2018. Entitled “All Aboard: Delaware and the Railroad,” the three-day series of programs will explore the importance of railroads to America’s economy and way of life, and their impact in Delaware. Now in its 20th year, Delaware’s Chautauqua will take place from Sept. 13 to 15, 2018 and will be split between two Lewes, Del. 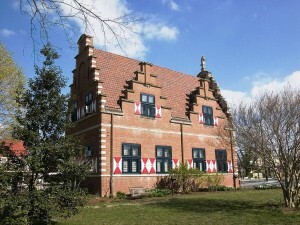 locations: the Zwaanendael Museum, located at 102 Kings Highway, and the Lewes History Museum, located at 101 Adams Ave. Admission is free and open to the public. For information, call 302-645-1148. Additional information will be released to the media and published on the Delaware Division of Historical and Cultural Affairs website as it becomes available. 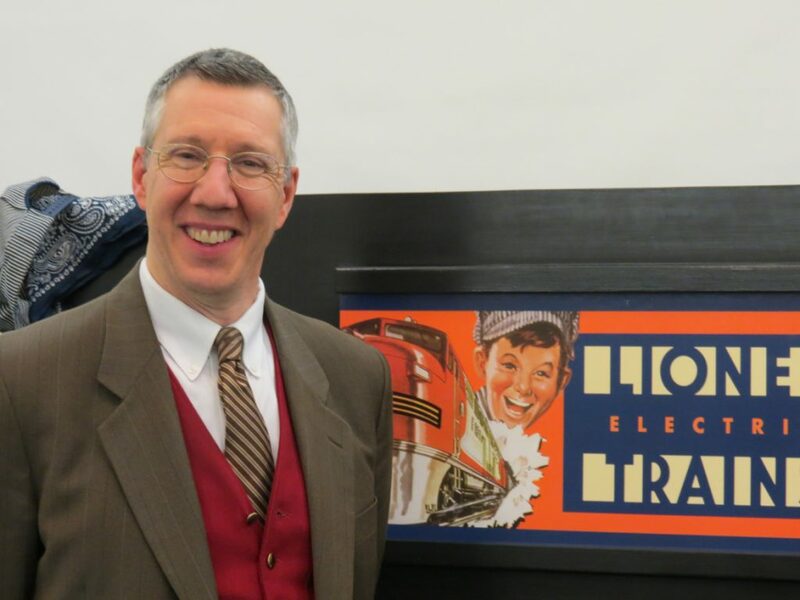 Neill Hartley of the American Historical Theatre will portray Joshua Lionel Cowen, founder of the Lionel Corporation, during Lewes, Del.’s Chautauqua Tent Show. 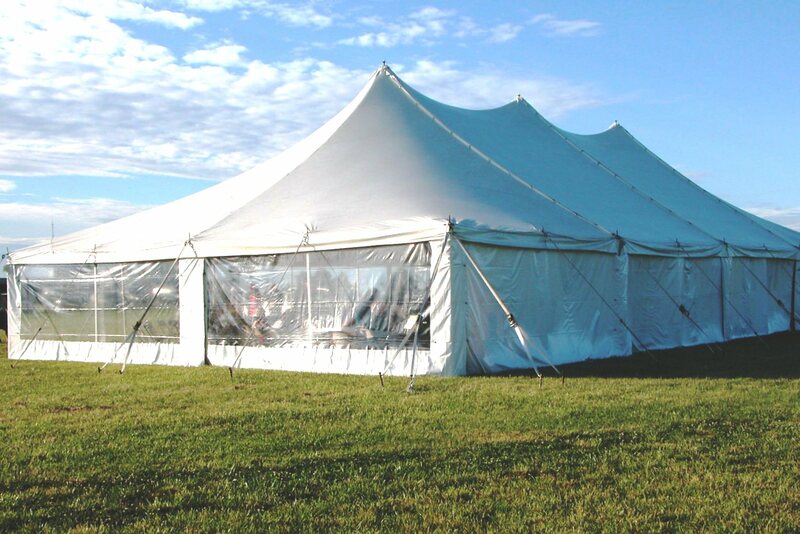 Co-sponsored by the Delaware Division of Historical and Cultural Affairs and the Lewes Historical Society, the 2018 Chautauqua will be held under a large tent and will be headlined by re-enactors from the American Historical Theatre who will take on the personas of celebrated historical figures, educating and entertaining audiences as they bring the past to life. Audience members are encouraged to ask questions and interact with the featured characters who will include a Harvey Girl, one of the thousands of young women who were recruited to work as waitresses in Fred Harvey’s chain of restaurants located along railroad lines in the American West during the late-19th to the mid-20th century; Joshua Lionel Cowen, the founder of the Lionel Corporation which manufactured toy trains; and American author Mark Twain who will share his humorous thoughts on railroads. 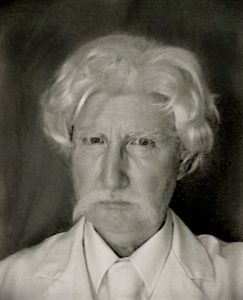 Bob Gleason of the American Historical Theatre will portray Mark Twain during the Chautauqua Tent Show. Reborn in the 1970s as a vehicle for humanities education, modern Chautauquas are organized around a core program in which re-enactors portray celebrated historical figures, speaking and interacting with audiences. Modern Chautauquas have been presented annually in Delaware since 1999 featuring a wide variety of historical figures including Woodrow Wilson, Teddy Roosevelt, Abraham Lincoln; Amelia Earhart; Dolley Madison; Eleanor Roosevelt; Edgar Allan Poe; the Lone Ranger; John Philip Sousa; and Delaware’s own Pvt. James Elbert, Maj. Allen McLane, F.O.C. Darley and Clifford Brown. The Lewes Historical Society is committed to promoting the preservation, interpretation and cultural enrichment of Lewes, Del.—one of America’s most historic towns. As part of its mission, the society operates the Lewes History Museum and maintains several beautifully restored historic properties dating from 1665 to 1898. Open for public visitation, these sites, in conjunction with the society’s educational programs and special events, help to tell Lewes’ story of maritime adventure, architectural elegance and over 375 years of colonial charm. 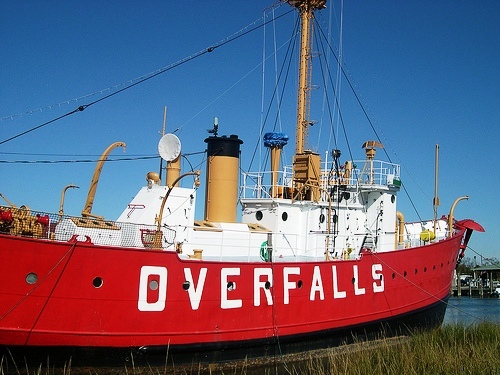 Adults and children alike will have an opportunity to experience seafaring lives of adventure, romance, excitement and hardships, and to honor mariners who made the ultimate sacrifice, during the Zwaanendael Museum’s seventh annual maritime celebration, “A Sailor’s Life for Me,” that will take place at a variety of downtown Lewes, Del. locations from Friday to Sunday, May 25 to 27, 2018. A complete schedule of events is included below. Except where indicated, admission is free and open to the public. For additional information, call 302-645-1148. Historical interpreters at the 2017 Zwaanendael maritime celebration. Interpreters will again be performing at this year’s event that will take place from May 25 to 27, 2018. 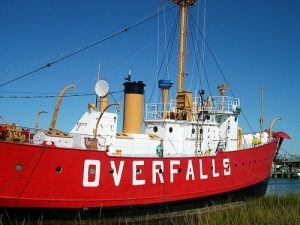 • Cape Henlopen cruise, 4:30–6 p.m.
On the 220th anniversary of the sinking of His Majesty’s Sloop DeBraak, enjoy a cruise of the waters off Cape Henlopen conducted by the Cape Water Taxi. Admission $24 for adults, $23 for seniors and $17 for children age 11 or younger. Go to the following for reservations. • Displays and demonstrations on local maritime history, 10 a.m.–4 p.m.
• Living-history encampment, 9 a.m.–5 p.m.
• Tours of the station, 10 a.m.–4 p.m.
–“Unsung Heroes and Heroines of the U.S. Life-Saving Service,” 11 a.m.
–“Delaware’s Maritime Heroes,” 3 p.m.
• Tours and sound-pipe demonstrations, 10 a.m.–4 p.m.
• Lewes walking tours, Noon and 2 p.m. Participants will meet at the Zwaanendael Museum where they will board a van that will transport them to an offsite conservation facility for a guided tour of the surviving hull section of the DeBraak which sank off the Delaware coast on May 25, 1798. Admission is free, but due to limited seating, reservations are required by calling 302-645-1148 no later than Friday, May 18, 2018. Tour limited to the first 12 people with reservations. 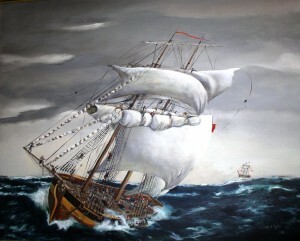 Museum open 1:30–4:30 p.m.
• Wreath-laying ceremony honoring crew members of the DeBraak, apx. 3 p.m.
• Living-history encampment, 9 a.m.–1 p.m.
• Wreath-laying ceremony at the tomb of James Drew, captain of the DeBraak, 2:30 p.m.
Beginning on June 14, 2018, the Delaware Division of Historical and Cultural Affairs will offer tours that explore the 18th-century history, artifacts and surviving hull section of His Majesty’s Sloop DeBraak, a British warship that was escorting and protecting a convoy of merchant ships en route to the United States when it was capsized and lost off the Delaware coast on May 25, 1798. On April 23, 2018, 13 volunteers from the Delaware Department of State including Deputy Secretary of State Courtney Stewart participated in a spring cleanup at the John Dickinson Plantation, the home of one of the Founding Fathers of the United States and “Penman of the Revolution.” Located at 340 Kitts Hummock Road, southeast of Dover, the site is one of five state museums operated by the Delaware Division of Historical and Cultural Affairs, a component agency of the Department of State. A variety of tasks were completed during the day’s activities including weeding and mulching garden beds, painting light and sign poles, scrubbing benches and cleaning the site’s log’d dwelling. The program was organized by Sara Clendaniel, coordinator of the division’s Volunteer Program in celebration of National Volunteer Week. The spring cleanup provided department employees with a valuable team-building exercise while also helping them become more acquainted with the programs and services of one of the department’s most publicly visible divisions.